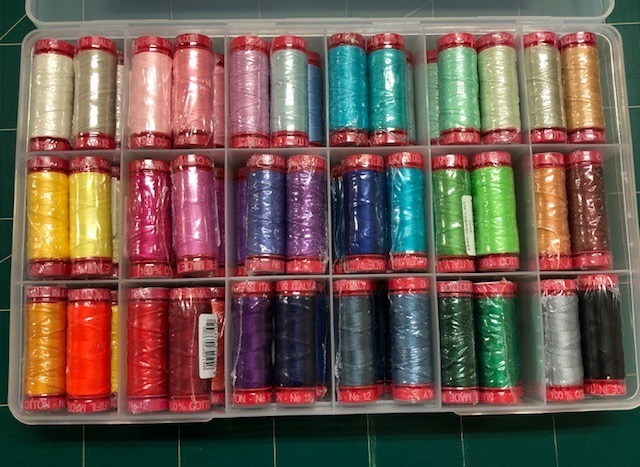 Every month you will receive 6x 50mt spools of lovely Aurifil 12wt thread. First month you will also receive a great case to keep them all in! 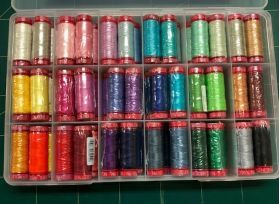 Running over 12 months... Thats a total of 72 spools. 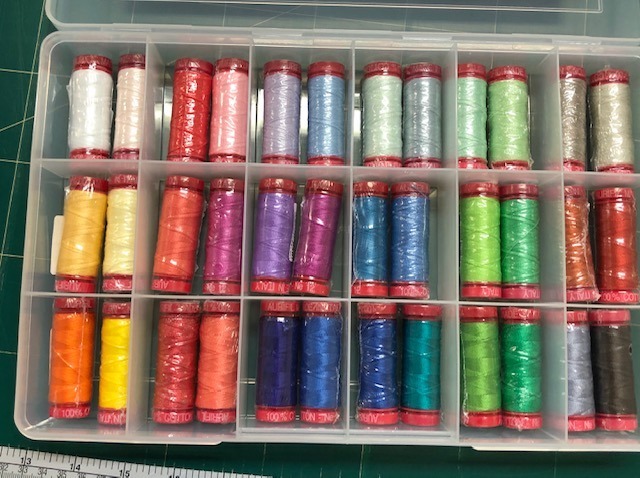 Each month threads are $40.00 plus post. 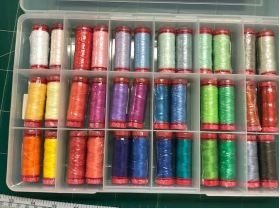 These threads are perfect for hand quilting and stitchery.